The dinner begins with a few light appetizers available in the original barroom as you arrive. The original bar is set up for service (beers from our microbrewery are available as well as liquor, wine, soda, and commercial beers). When dinner begins, a salad is waiting on your table as you sit down. (‘Action’ occurs between courses, some will hear it and some won’t, hopefully those interested will discuss it). Next, a soup course is served, followed by the main course. Beef and chicken, along with bowls of vegetables and rice and a sauce are served family style in much the same way food would have been served in our restaurant in 1879. Dinner concludes with dessert. Tickets cost $50 per person. Tickets are purchased in advance of the date you would like to attend by calling 7 days a week between the hours of 11 a.m. and 5 p.m. (when the box office is open). We accept MC, Discover, Visa and American Express for payment. Tickets are non refundable. 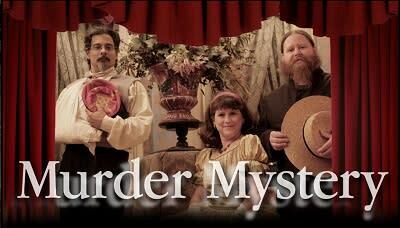 We are happy to answer any questions, give more details, describe other mysteries. 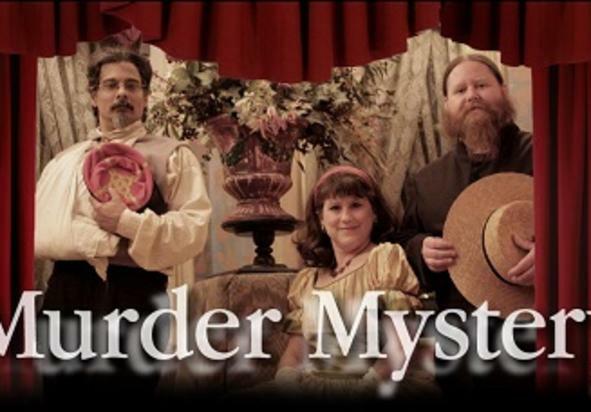 Please call 717-653-2056 (7 days a week from 11 a.m.-5 p.m.) and mention ‘Murder Mystery Dinner’.